No joke, I’m kinda like Buddy the Elf. “Smiling’s my favorite.” Sometimes to my dismay. I’ve fooled a few doctors, nurses, relatives, friends and most acquaintances because of my smiling. When I see people, I smile. It’s never phony or put on for show, always 100% genuine. It’s just my reaction to seeing the people I love … and to just humanity in general. I call it “Social Morphine.” And yes, that does make me an extrovert, no doubt. But as I get older (over the hill in fact in just a few days. The big 4-0. To many of you that may make me a spring chicken! To others you may have thought me to be much younger. But there it is, I’m turning 40. And I’m quite excited about it. In fact, granting from ear to ear about it. Ya see, when I found out I had some pretty serious cancer, I made a few bucket list items in my mind. A few are private to me. A few I have expressed in my blog and are more obvious to most mothers: -seeing my children graduate; -getting to see my children walk down the aisle at each of their weddings; hold a grand baby,etc. And then there was the more immediate bucket list of time: MAKE IT TO 40! I just have a few more days … and by the end of this week, I will have checked off my first big bucket list item made that during that very first of many rounds of chemo in August of 2014. Seems ages ago now since we first started. But I made it this far, I’m ready to move on to other bucket list items. Back to the Bucket list. I have quite the list of ideas of thrill seeking (always wanted to sky dive!) But apparently, my doctor and my husband think there’s something irresponsible and unnecessary about a mother of 5 and a woman whom everybody’s trying to put all efforts into remaining on this earth ALIVE jumping off of a perfectly good and safe airplane into the sky. However, I was given the green light that if he can keep me going till I’m 80, then he’ll let me do whatever the heck I want after dealing with chemo and all this crapola for that long. I’ll have earned my thrill seeking. So I may switch to rock climbing (done it before but loved it so much, want to do it again now), and/or hang gliding (but that, like the sky diving, has to be over something amazingly beautiful!!) The thought of feeling like I’m flying, I can only imagine, would leave me smiling for days…. weeks… years at the memory forever in my brain, as I lose so much of my short term memory still each day from all the chemo and radiation and still more chemo each day, I can’t imagine that’d be one I could ever forget. Or that I’d ever lose interest in Jason telling me about the day I flew and the kids showing me pictures to prove it to me in an album! Which leads me to my next portion of my bucket list: TRAVEL!!! One deal that we’d made “if I reached my 40th” was to take a big celebration trip to somewhere I’d never been but aways wanted to go. Somewhere relaxing and beautiful, that when I woke up and went to bed, I could look out and see something I never saw anywhere else. Of course, if you ask me, I always want to dig my heels in the sand and swim in the ocean. Sure, I’d love to check of some of my thrill seeking adventures, too, but put a Pina colada in my hand and let me kick back on the beach and hear the waves roll in and I’m a happy girl! But now comes the decision. So many choices. So many decisions. Big decisions. Grown up decisions. Some make you smile at the fun pretty pictures. Some make you frown at the check book and the lacking of what numbers you would need but don’t have. Some make you think, Aw you only live once! That was the point of this whole trip, right? But then the others make you remember, but we have a long we to go, and I have a lot more bucket lists that involve a lot of little people that we have under the roof. Decisions, choices, …. the reality of life with or without cancer. The crosses ALL of us bear, no matter what our health is. God knows our crosses. We give them to him. That’s the best choice we can make, really. Do you know what I did last weekend? I did something that took me away from all of the nonsense and stress of all of our fun and tough decisions that we all face. I did something that ended up being one of the most fun and uplifting nights I’ve had in a very very long time. I smiled. I smiled for 7.5 miles while marching dancing alongside my daughter as a cheer squad chaperone as my gorgeous co-captain daughter marched and danced her way through the city for a Mardi Gras parade. I couldn’t help but move to the music, and what my husband, oncologist, and everyone else thought was gonna tear up my feet and wear me down, only energized me and lifted me up! (The Social Morphine I told you about kicked in, BIG TIME!!). I began just clapping and asking the crowd to cheer for our squad, giving them a hand and cheering for our school. I smiled and caught eyes with a few parents and kids and they smiled right back and cheered. The cheers grew and grew and with it their smiles grew and the feeling inside me felt warm and energizing! That feeling I got each time I noticed that simply smiling at someone changed the posture, the attitude, and the smile on the face of someone in the crowd, pumped me up like nothing else! I was on a high and feeling fantastic, grinning from ear to ear. Elderly in wheel chairs reached out when I put my hand our for high fives and shouted, “Happy Mardi Gras, Y’all!” From special needs children in motorized wheel chairs, to toddlers on parents’ shoulders, to the shy little guy hiding behind mommy’s legs peeking through the barricades, to the family sitting in their chairs in a circle on the median, I greeted them all! (And yes, I realize it’s the flu season, and I need to be careful. I kept my hand sanitizer close at hand, to not catch or spread germs. Along with a holy medal in pocket asking the Big Guy to protect me while we all just spread the love, with smiles, high fives, and watching people catching beads and throws and passing them around to kids that may not have gotten anything. That’s what Mardi Gras is all about. It’s about community. It’s about getting out there and feeding off of the energy of one another! It’s about laughing and smiling till your cheeks hurt! It’s about dancing and moving to the music till your legs and your feet feel like jello and you want to collapse in the car at the end with all the beads you could bear the weight of around your neck and wonder what in the world you’re gonna do with all this junk you just begged for at each and every float? (At least that’s what the Mom in me thinks about!). This year, for me, I’m turning 40 just as Mardi Gras really kicks off. The best part of that is that I’m here and I’ve made it! I’m alive and well. **SIDEBAR:No, I’m not in true remission. (I tried my best to explain that in a previous blog, and I believe it was misunderstood. When my last scans showed that their were no active tumors in my body and the one tumor in my brain that remained was zapped by the gamma knife, my radiologist said that, in a sense, I was in remission! However, my oncologist clarified that I cannot claim true remission which is what I explained in that blog. True remission would mean no more chemotherapy, weekly bloodworm, or need to see an oncologist every other week, as I still do. My metastatic breast cancer cells are still very active with cancer markers that often climb up and down with any changes of my dosing or shift in the schedule of my 2 chemotherapies that I take 6 pills of one every morning, and 2 of the other every morning and 1 at night. Basically, instead of infusions once every 3 weeks, I take chemo pills twice a day, every day and will for the rest of my life until we WILL find a cure. I don’t say this to be a drag, but to be honest. Also to remind you again, that in the midst of all of this, I still find it very necessary, and maybe confusing to others, to smile. I smile because I still have the gift of Joy that God provides me through grace. I’m a very real HUMAN BEING. The very thing that I enjoyed so much at that parade: HUMANITY at it’s best. Is also part what can be the most complicated, frustrating, and painful part of life. Why? Because we’re not perfect! I’ve NEVER claimed to be, or felt that anywhere near my grasp. However, I know that in my imperfections, I can ask God to be the third parent. The middle member of our marriage. The source of my JOY. True JOY doesn’t equate to HAPPINESS and feeling perfect. But it can still cause you to smile. It can still cause you to dance when you hear music and you just can’t help but move to the beat! and that’s where I’ll be. Don’t look forward, don’t look back… One day at a time. As always, thank you for every prayer and every bit of support! Keep praying for us, as we’re always praying for YOU and ALL of your intentions. Always. And always, always, keep smiling! 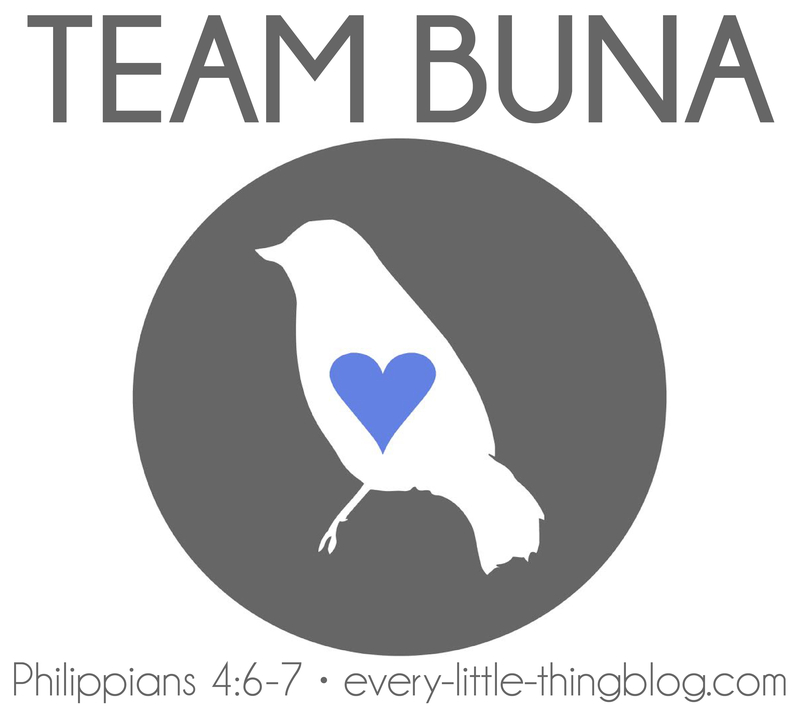 Soon, I’ll be updating you on the happenings of BUNA’s HOPE! We’ve still been busy with quite a few donations at Christmas extending our reach to families across the globe through FOOD FOR THE POOR, purchasing a home, with electricity and running water, a village well, computers, backpacks and school supplies, farm animals, feed for their chickens, farming tools, and 2 sewing machines to not only provide shelter, education, but also means for the to be able to work and provide for themselves for their future. A future full of HOPE as we continue to pray for them as well. 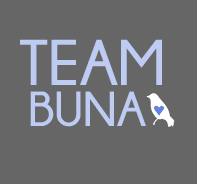 We ask that you click on the BUNA’s HOPE link above and continue to donate as we raise money to hopefully, by Easter, treat another family within our own country with another BUNA’s HOPE VACAY as we have in the past. Again, we appreciate your support of our non-profit, the families blessed all over the world now because of you, separately our own family through Go fund me and all of the prayers and offerings that you’ve given us to get me to my first bucket list… 40!!!! We don’t take that lightly!!! God bless you all. God is Good. All the time!!!! Every little thing, is gonna be alright!!! What big Ch-Ch-Changes, Buna? You may ask. …Or maybe you didn’t. (Shoulders shrugged) Regardless, my blog, my thoughts, so I’ll describe for you anyway. Pull up a chair. How grateful I am to have changed from infused chemotherapy to oral chemo that I order and administer myself. Although it can be complicated and a bit difficult to keep up with and on top of while my hubbie and I are also balancing work and 5 kids who are split in even more directions than ever before. With our oldest now in high school in one town and direction while the 4 others still in elementary and middle together are in a school in another town on the opposite end of our north shore area, away from where we live, and away from where I receive my oncology check ups, scans, and other treatments.There is rarely an easy afternoon. We’re all over the map now, and the changes are bigger “pills to swallow” than my actual hand fulls of pills taken morning and night! Oy vey! Don’t get me wrong, I’m loving the freedom and independence in my schedule, having all 5 of my brood in school and having oral chemo to allow me the freedom to make my own schedule (vs. previously scheduling everything around my infusions, follow up injections and fluids that lasted the whole week after, etc.). Not to mention this chemo isn’t nearly as intensely nauseating nor does it make my hair fall out!! Wahoo for hair and no pukes!! Truly, immediately returned to being part of my normal “exciting mom life” of running my own errands (ooooh! ahhh! ), running the Target aisles with the “cool healthy mamas” as we all browse the dollar section first, as if we NEED those random holiday decor items for our homes (that aren’t $1 at all, the ones we actually shove in are cart are $3!! Sneaky sneaky Target!) I flip my pixie turning mullet at you! (seriously, the back needs a trim, yo!). Regardless, we keep it in there, because we know there’s gotta be something we can do with those cleverly crafted fall pumpkins with welcoming quotes and chalkboard signs to match. Right? What blindsides me every time is the fatigue (major side effect of being on chemo every day now) and sore, peeling feet (another fun side effect from one of the types of targeted chemo that I’m taking which we continue to adjust to keep it both strong enough to keep my recent scan of no active tumors the same, while also keeping the peeling and of my feet and chance of infection low to not attack my immune system in such a way that I would not be able to receive any of my chemo). Excuse my constant run-ons. I am aware😬🙄. I’ll continue enjoying being involved in mom-duties that I can easily take for granted when I had a completelely clean bill of health. Target and grocery runs, lunches (which we actually teach the kids to make the night before while I write love notes and stick them in the lunch box;), and visiting to read at preK story time!) Soaking about the moments that seem to be flying by faster each year. And eccelerating into highschool social life on full speed ahead!!!! Parents’ rxn to the beginning of first kid starting highschool!!! Next, we will do another PET Scan again sooner than later to make sure that the scans are staying clear. This is sooner than we would normally do them; however, with the closeness of my relapses in the past and the fast spreading nature of my past tumors and severity of them once they travelled throughout my brain it’s important. With the combination of medical teams like this, this new medication that I’m on with my hubbie at my side to now help me to organize my pills and help me every Sunday to make sure I have enough or each week and see if we need to order more, etc., along with our faithful community of friends who have helped us with carpooling kids when needed, bringing meals and gifts cards to cover meals when I just don’t have the energy for one more thing, especially when my blood counts have been off and the fatigue is too much. Your selfless gifts and thoughts and prayers keep me going. Especially the prayers. I believe whole heartedly in the graces from the prayers of your families. I hear stories all the time of families praying for us in the car, at bedtime, etc. Blows me away. Moreover, humbles me daily. Entering into and sharing the journey: I even hear of entire schools praying for us at morning assemblies talking to their students about the power of prayer and inviting them in to this journey and asking/allowing their students to be a part of a miracle story, that they are now witnessing first hand!!! How real and tangible is that for them! I fell to tears when I heard that!!! I can’t help but point out Michael Krauss, principle at St.Peter Catholic School here in Covington for using such a teachable moment with his student body and having the faculty continuing the same over throughout the day over these past few years, blessing our family and community alike with grace during the ups and downs of this journey. Wow. Those kids will remember that. Our kids have heard about it, cried tears if gratitude and will never forget that. Not only from this school, but so many who have written our names on chalkboards, on planners, have alarms set w our “3 little birds song” to stop & pray. It is tremendously kind and overwhelming indeed. That example is precisely why I share my story. I share never to draw attention to ourselves, but to share in the cross. The cross that we have been given is our gift full of graces. If we only notice the splinters and we hide it in the quiet, no redemptive suffering can be used, because I’ll be so hidden, I won’t even know of any one’s suffering but my own, nor can other’s help me to bear it through the graces of their prayers because they didn’t have the chance. I hid that opportunity from them. They’ll even miss the resurrection of my cross, if God so chooses to heal me. I pray people know my story and, I thank God with a hopeful heart for healing me in advance. And thank all who’ve prayed for me for being apart of this miracle that I pray can and will happen. What will the miracle be? No one knows. Maybe it will be that our community drew a little bit closer and started praying more. Maybe that the person who had no idea how to pray started to do so. Maybe families came together for a reason that they felt passion about to talk to God. Hey, I’ll take that! But let’s ask him for a little more.